FINCA SANTA MARTA may well be the most beautiful farms you have ever visited. 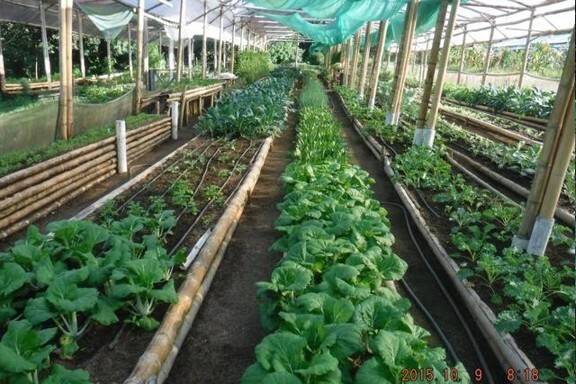 A perfect place to grow beautiful fresh and healthy food. Finca Santa Marta, a 170,000 square meter (42+ acres) property is located in an idyllic location on the banks of the Gariche River. The river winds majestically through the property and from certain locations the visitor has some stunning views across the valley and down to this year-round bubbling water source. Water, is the life blood of any agricultural business and Finca Santa Marta has an agreement with the Panamanian water authority (IDAAN) to pump water from the river. In addition there are 4 private wells on the property. This agreement underlines 2 very important aspects: first, there is always a supply of water for the farm and secondly, the water is as pure as possible – if you run an organic business you certainly would not want your water to be chemically treated or highly chlorinated. 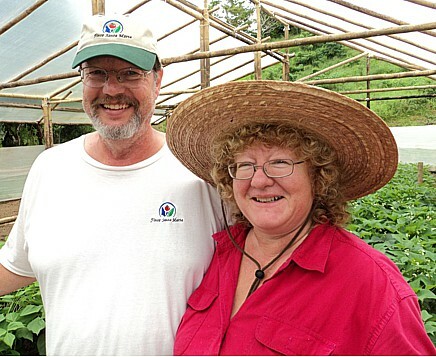 In 2007, American’s, Ron and Kim Miller opened an organic farm in the village of Santa Clara, a few miles west of the Chiriqui City of David. 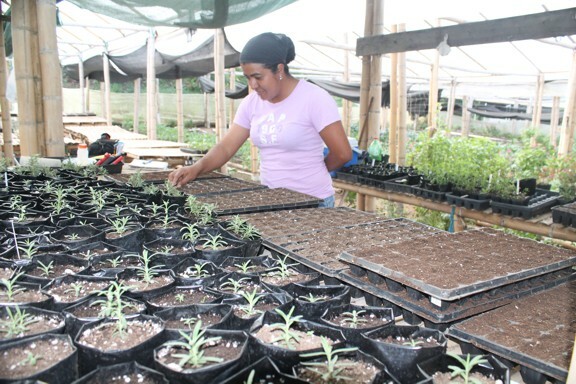 Their 17 hectare farm on the banks of the Gariche river has 17,600 square feet of greenhouses and they supply restaurants and private homes in Volcan, Boquete. David and most of western Panama. Ron Miller, a 60+ Virginian, says he started selling his produce 9 years ago at the Tuesday community market in Boquete. The demand for his produce has always outstripped supply and on his farm there has been a constant expansion to try and fill the demand. He told me that he could easily sell ten times his current output – the problem of course as in any new enterprise is getting the bugs out – in organic farming that has to be done literally. 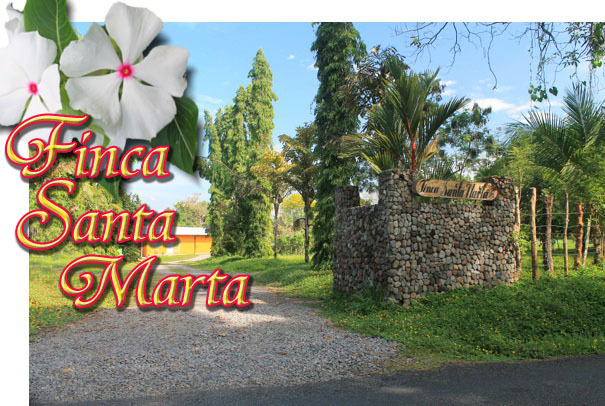 It was almost ten years ago that as a reporter I came to write an article about FINCA SANTA MARTA. It was then, as it is now, one of the most tranquil and beautiful places I have visited in Panama. Forget all the real estate hype - just walk down to the river or stand on the patio of the farm house (pictured) and take in the fresh air. Imagine as I did, what the potential of this place truly is: Hotel, health spa a retirement Shangri-La? Organic produce has becoming increasingly popular in the last seventeen years. As people have grown more aware of the harmful effects of chemicals on their body they have come to the conclusion that pesticides and produce don’t mix. In the United States Organic farming is big business – and people are willing to pay over the odds to get chemical free produce. 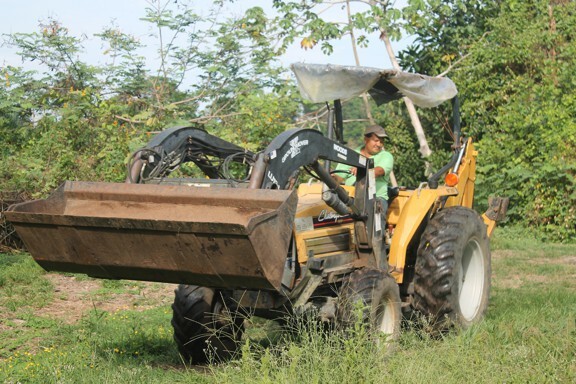 There is no reliable organic certification in Panama – although the government says it is working towards that goal. Basically, you have to take the growers word for it, or do as I did – go to the farm and check it out yourself. One might think it’s just a case of building more greenhouses, but organic farming is time consuming and can be highly frustrating. In traditional farming you can of course just spray the living daylights out of your vegetables. However, in the organic world inventiveness is the keyword and at times you need to be downright cunning. 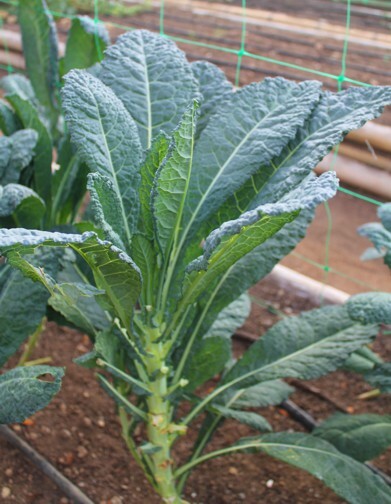 The archenemy of organic farming are aphids and nematodes. 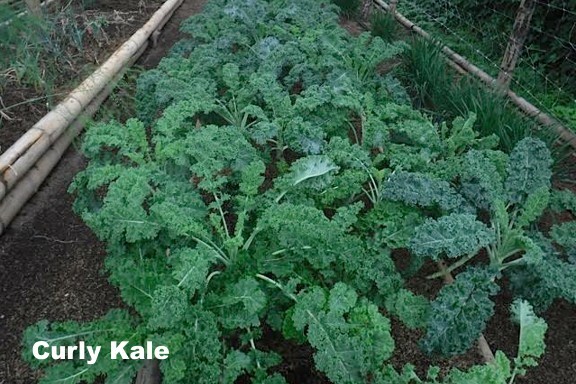 These little pests can destroy or consume entire vegetable plots. Ron took me into one of his newer greenhouse where his wife Kim was potting some new herbs. He showed me two known ways to combat aphids, first is to plant marigold flowers. The aphids hate the pungent smell of marigolds and these are his first line of defense. Next Ron and Kim have hung bright yellow plastic strips all over the greenhouse. These plastic sheets are covered with a sticky glue. The amount of insects stuck to these sheets was clear evidence of their effectiveness. 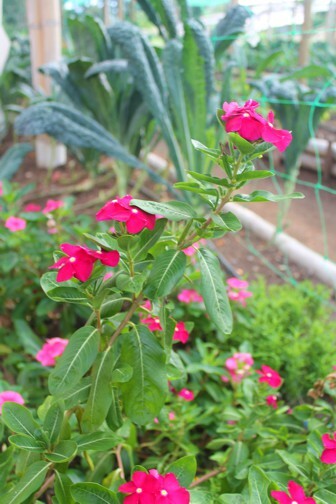 In addition there are harmless agricultural soaps that can be sprayed onto plants and some cases there are certified organic sprays commercially available. Pictured above and to the left;Pink and red CHAVALITAS. Below are some of the excellent products grown at the Finca. 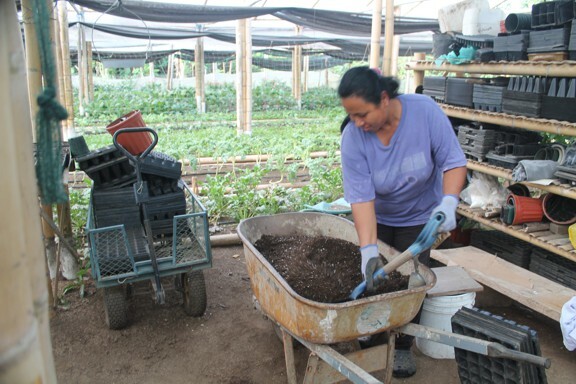 However, before you plant your organic vegetables you have to prepare the soil. Ron pointed out to a visitor that even using chicken manure has it problems as you can’t be sure that the chickens haven’t be given antibiotics. These antibiotics will of course be present in the chicken manure and could pass through to the plants. Santa Marta overcame this problem by simply raising their own chickens. 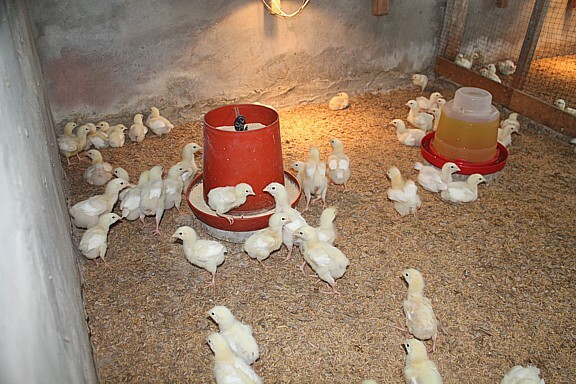 I looked at the two types of chickens they raise on the farm – some for food and others for egg production – and the most obvious aspect is that these feathered friends are treated well. I am sure we have all been horrified by pictures of factory farming. The chickens at Santa Marta are living almost luxuriously by comparison – they have oodles of room. The chickens have another great advantage – they eat organically. 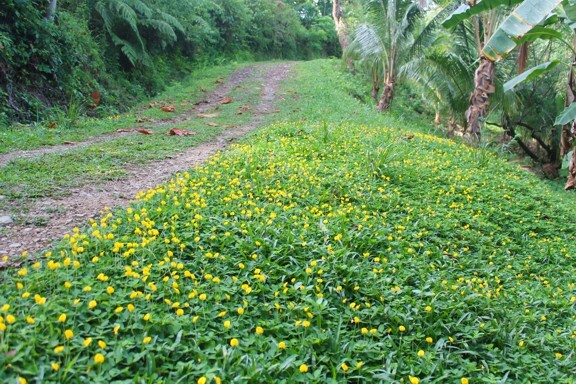 Close to the chicken coops are banks of beautiful green “Mani” flowers. These resemble beds of buttercups and occasionally our feathered fowl friends are let out of their coop and allowed to dine “Al Fresco” on these wonderful yellow flowers. FINCA SANTA MARTA has recently ventured in to cattle production with 8 of these fine looking animals. 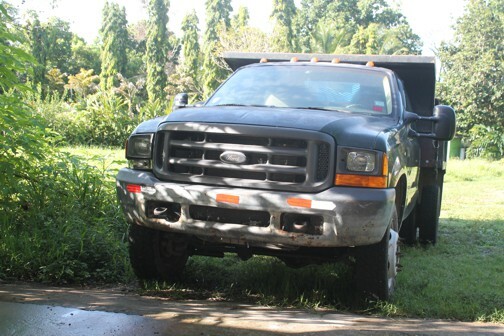 The Finca is truly "Turn-Key" with all the vehicles necessary for a modern operation. · 17 + hectares or 42+ acres. 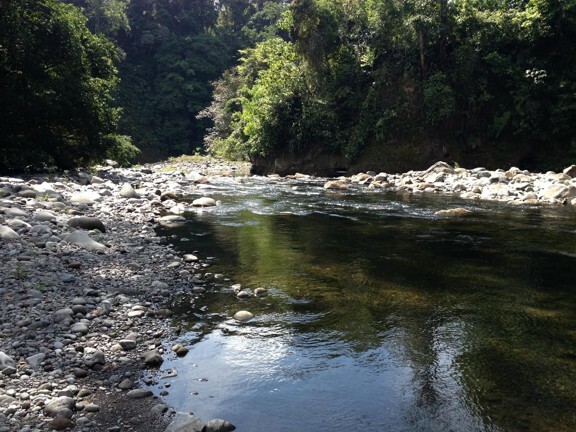 This property borders the Rio Gariche river with one kilometer of river frontage. 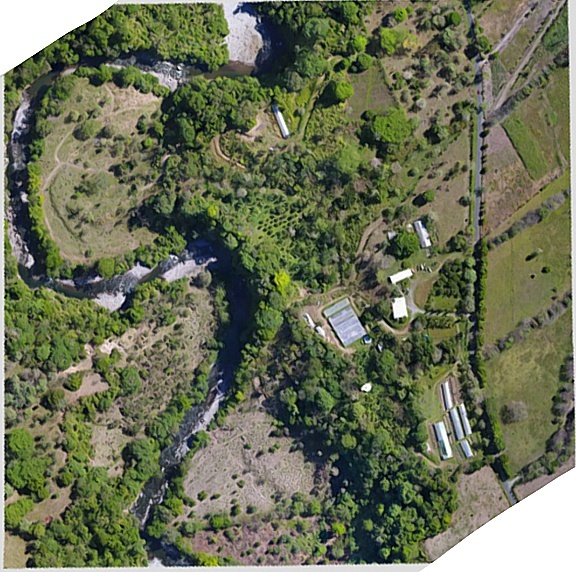 · The entire property is fenced and has three different elevations that descend to the river below. 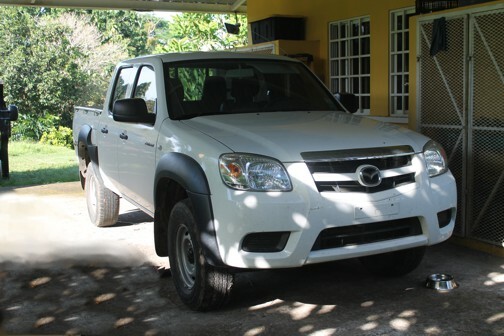 · There is an extensive interior road system allowing easy access to all areas of the finca. 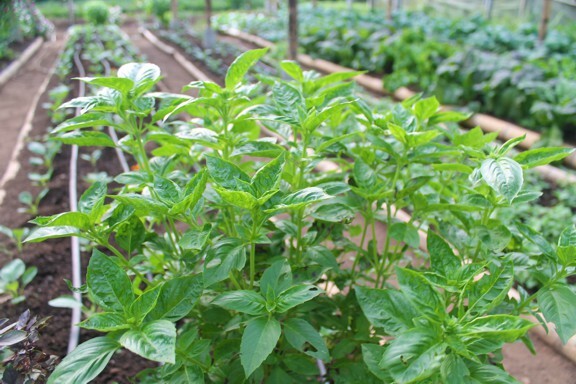 · Organic farm with free-range chickens, eggs, organic vegetables, herbs and many varieties of mature fruit trees. 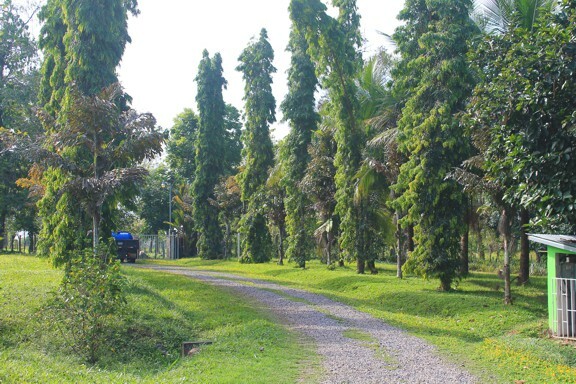 In addition there are areas dedicated to growing coconuts, bananas, pineapples, bamboo and moringa. A tilapia growing operation could be easily be incorporated and add an additional revenue stream. 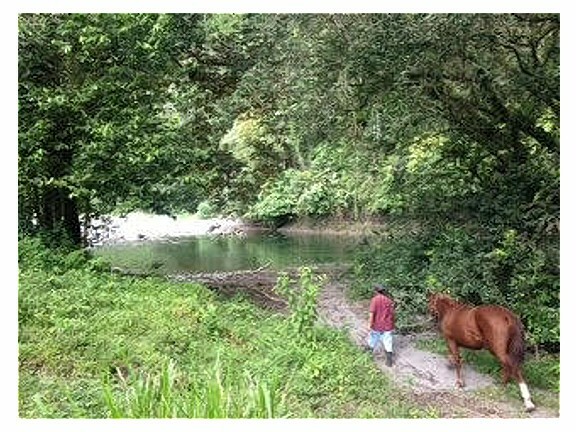 · The lower level of the property which borders the river is currently used as pasture land for cattle and horses. 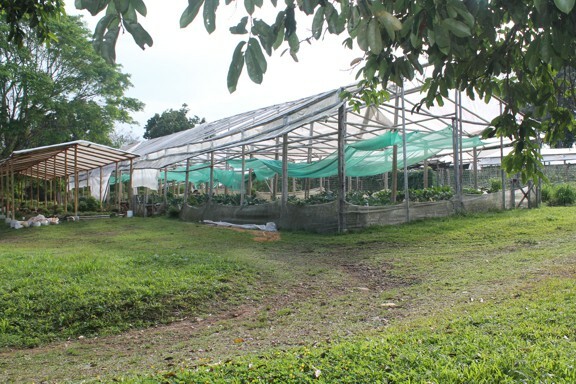 · The middle level of the property is protected from the winds so it is a perfect place for the several irrigated greenhouses and free-range laying hen nests and shelter. 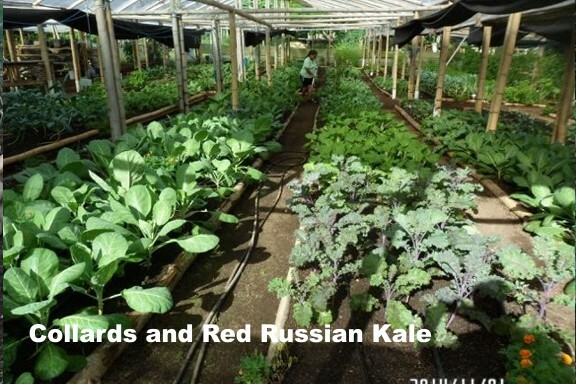 · The highest level has more greenhouses and free-range meat chicken growing areas in addition to the house and office/shop and other buildings. There are a total of 8 large greenhouses on the property with 34,000+ sq feet of covered growing area. 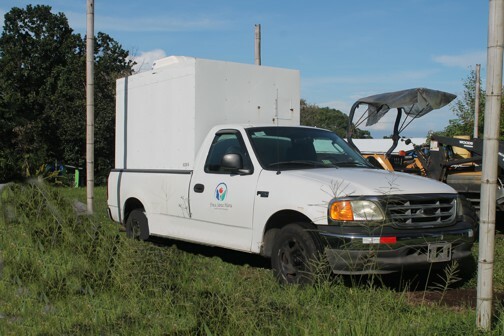 · High speed internet is provided by Planet Telecom, who leases a small tower site on the back side of the farm and trade the wireless internet access and phone service for the tower lease payment. · Site security includes numerous outdoor lights, a 6 camera security system with digital recorder with Internet monitoring and an excellent house perimeter motion alarm system. 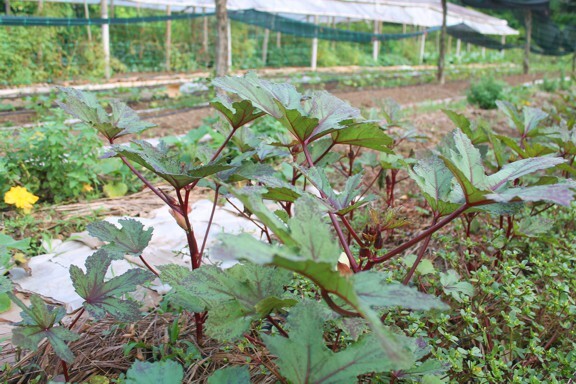 · Diverse flora and fauna are found on this property, which has been planted by the owners, including plantings surrounding the greenhouses with bug deterrent plants such as citronella. 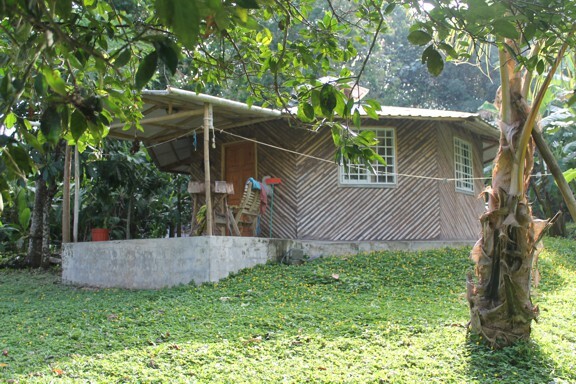 There is an adjoining government owned property that is virgin rainforest which helps keep the diversity in the finca’s soil, using organic farming methods. 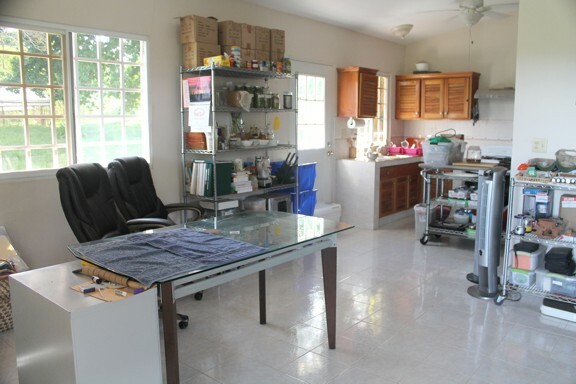 · The property includes a 12KW propane powered backup generator that can power the entire finca. 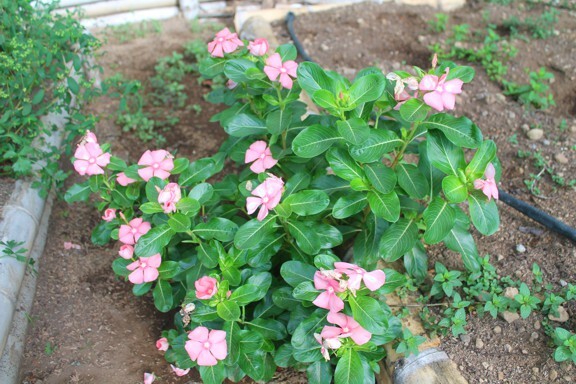 · The water source for the house comes from IDAAN, the public water utility. The property gets irrigation water from the river and from 4 private wells on the property. · In addition the finca has over 30 large reserve water storage tanks located around the property that double as a rain catchment system. Combined they offer over 12,000 gallons (45,500 lts) of water storage and are connected to an extensive water system for the gravity and pressure systems utilized for irrigation. 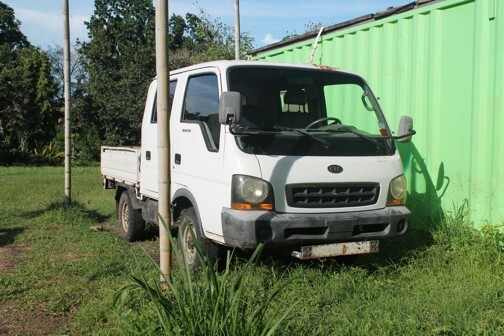 · The sale price includes all farm equipment and processing equipment including 4 trucks one of which is an F450 4×4 dump truck, a medium sized tractor with front end loader, back hoe, and other equipment, an ATV and UTV, a hydraulic dump trailer, mowers, weed eaters, and numerous other tools necessary for a farming operation. 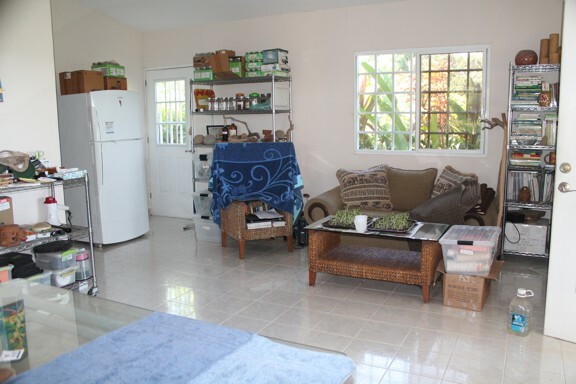 · The fully furnished home includes 2 bedrooms with 1 bath and has 213 sq meters or 2300 sq feet of living space overlooking the valley below with a large patio and carport. High vaulted ceilings, ceiling fans and cross flow ventilation keep the house very comfortable without air conditioning. An administration office with workshop – storage area. 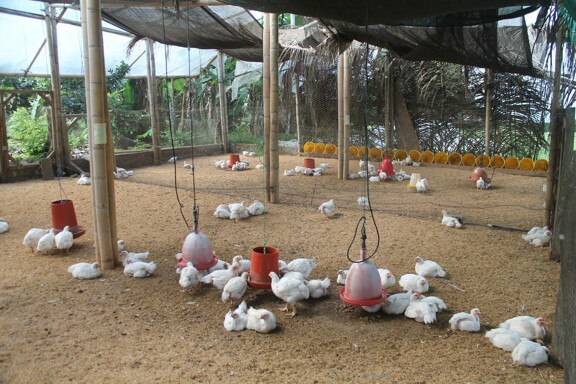 A processing area for chickens that is compliant with Panama health standards and includes state of the art equipment. A processing area for washing and packaging produce for shipment. A cold room and several refrigerators and freezers. 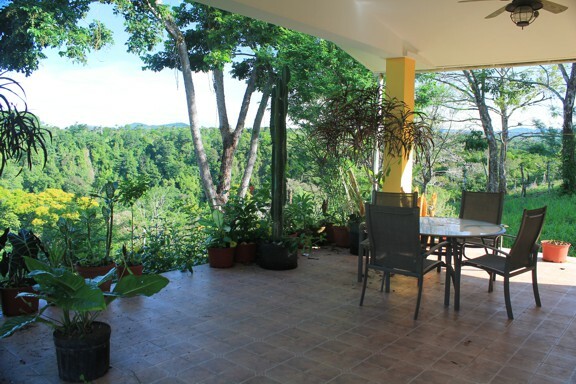 · Semi-secluded location means a quiet and peaceful river valley property but only 2.2 km of paved access from the InterAmerican Highway. 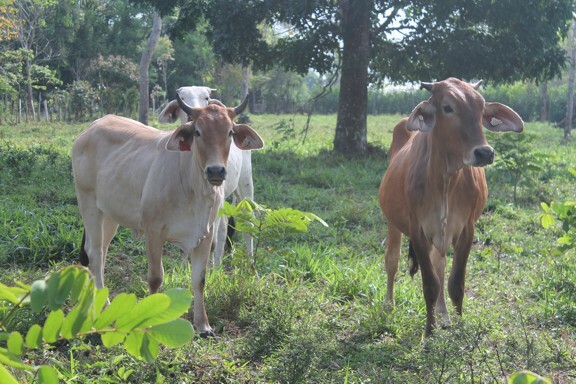 · FSM location enjoys a bit more rain in the dry season allowing pastures to remain green year around. · 25 minutes to Price Smart in David and 25 minutes to Paso Canoas. 12 minutes to Concepcion, a small city with most services. 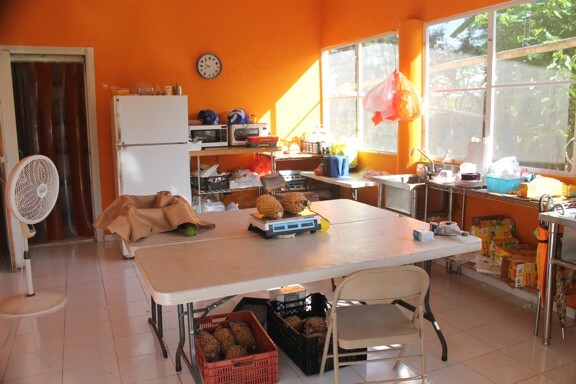 · Ideal location for adding agro-tourism and/or a paid or volunteer training program. · Cool breezes up and down the river valley most of the year help mitigate the tropical climate. to view the website and see what products are offered. In addition, FSM has a water concession from ANAM to pump water from the river in the dry season. Several current, hard working, local employees would be interested in working for the new owners. The current owners have an excellent bilingual CPA in David and a good working relationship with Banco General both of which could be transferred to the new owners, if desired. 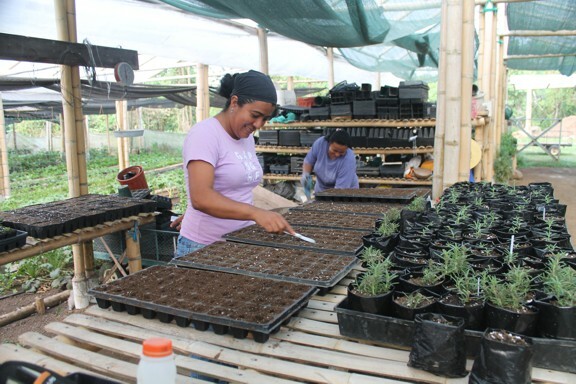 The organic movement in Panama is growing stronger every year. This is a great opportunity for being part of this growing industry. There is now a vital need for organic products grown as more restaurants and residents look for healthier foods and produce not grown by other suppliers. Also there is an excellent government program that rebates farmers up to 80% of the cost of new commercial green houses making expansion very cost effective. Please COPY the link below to your browser to see a high quality 3D rendering. be PATIENT, this does take a long time to load. Ron’s prices are certainly acceptable for organic produce as his constantly expanding business will testify. Ron says he is 95% organic, true there is no certification at the moment, but he says people are welcome to come to Finca Santa Marta, and see for themselves.